If Christian Eriksen had not already announced himself on the world stage, then his stunning hat-trick against the Republic of Ireland has surely made Europe’s elite sit up and take notice. The Tottenham playmaker virtually single-handedly steered Denmark to the World Cup, a performance which has unsurprisingly seen fresh reports linking him with Barcelona. Mundo Deportivo suggest the Blaugrana view him as an alternative to Philippe Coutinho, as Liverpool have made it very clear the Brazilian isn’t for sale, knocking back three summer bids. However, it seems Spurs’ resolve is just as strong when it comes to Eriksen. They have warned Barca that the 25-year-old is priceless, despite the fact that he has harboured ambitions of playing at the Nou Camp since his time with Ajax. 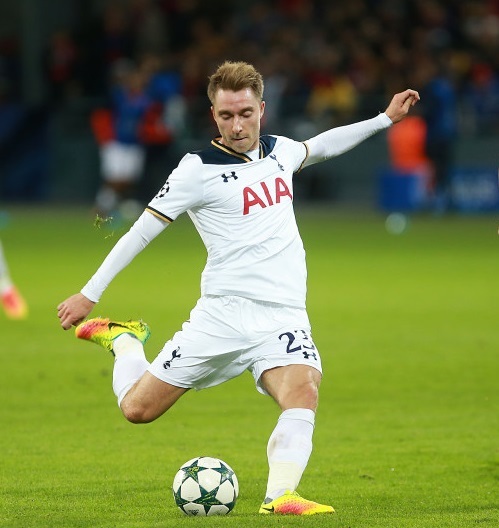 Eriksen is under contract until 2020, but Barcelona scouts have already watched him this season. Undeniably, his technical ability would make him a natural fit for Ernesto Valverde’s set-up, who are still aiming to replace Neymar in attack. Tottenham are adamant that just like Harry Kane, Dele Alli, and their other key men, last season’s Player of the Season is irreplaceable and it would take a world record fee to prise him away.